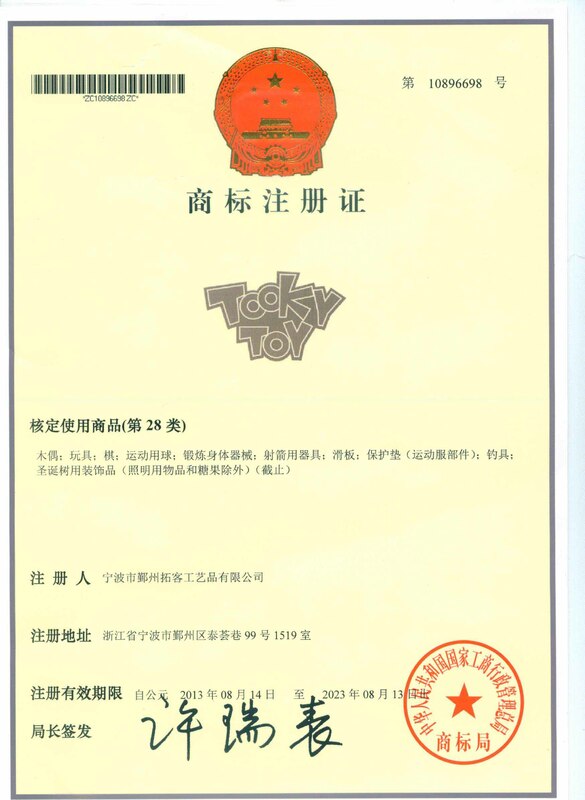 Company Overview - Ningbo Tooky Toy Co., Ltd.
14YRSNingbo Tooky Toy Co., Ltd.
Tooky Toy Co., Ltd. is an industry and trade combined company. We are specialising in producing and exporting all kinds of outstanding quality and valuable wooden products for our loving children. 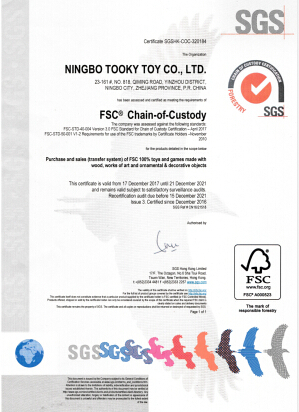 As this cause, we always use the environmental raw material, non-toxic paint from the largest Asian raw material suppliers to ensure the first-rate products and safety products for our baby absolutely.As our company spirit, our strong R&D team with their good experience and creative designs always introduce lots of new and unique items as our own collection. It always make us get more and more customers from all of the world.. Of course we also welcome to OEM products as our range.